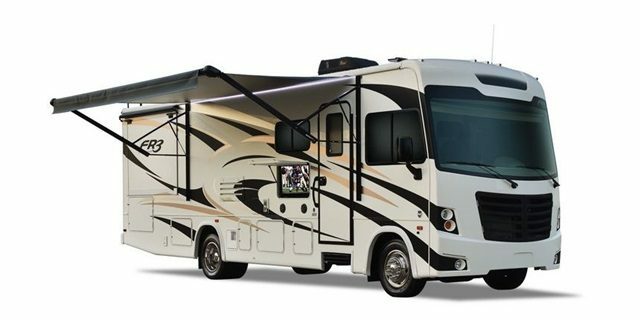 For many motorhome owners, the Class A RVs is the ultimate comfort you can experience on the road. The Class A RV is the mansion of the RV world. 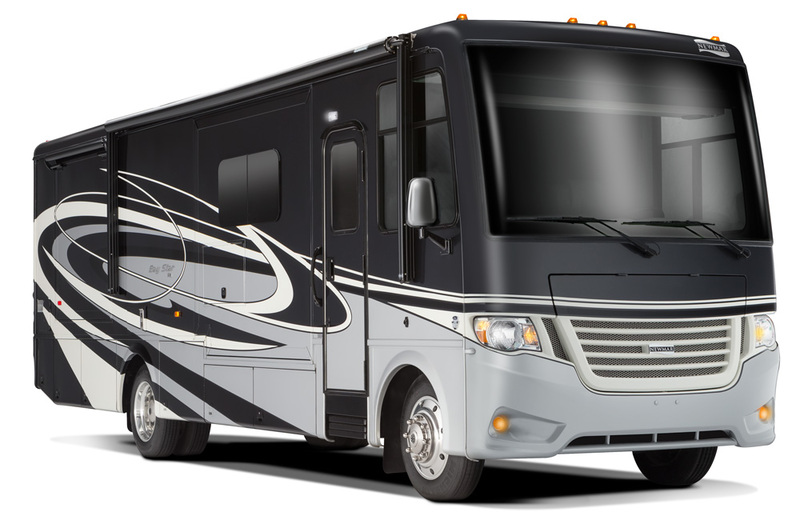 From the highest quality interiors to the sleekest exteriors, this class of RV is upscale quality at its finest. 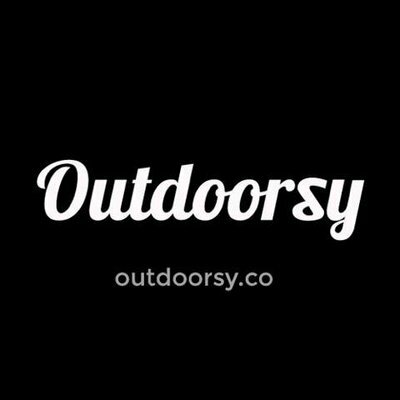 If you’re thinking of getting into getting a Class A in the near future, this is the post for you. Check out the 5 hottest Class A RVs–and remember, dealers will often allow you to upgrade the year model to help with depreciation. 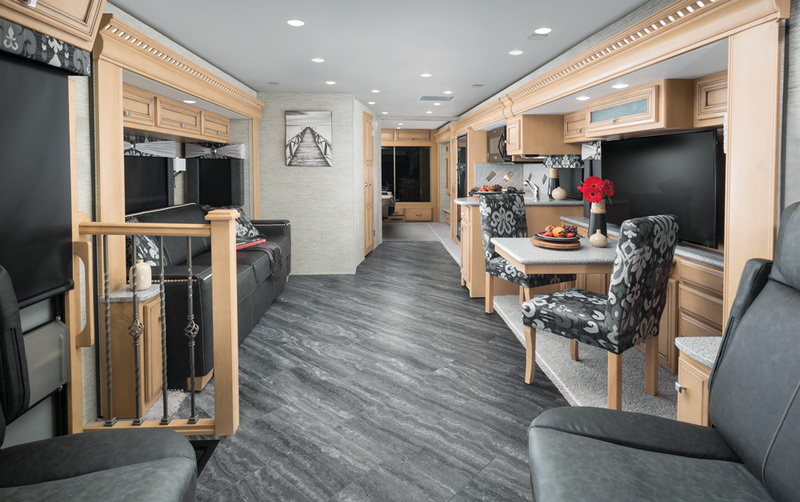 The Newmar New Star is the best-selling Class-A RV on the market, and a single look inside one will tell you exactly why. These motorhomes are luxurious from floor to ceiling, and the manufacturer’s attention to detail really shines through. The interior of the 2017 Newmar New Star. Additionally, the quality materials and construction found in the New Star coaches make for a long-lasting product that can be enjoyed for many years. Small Class A RVs are hard to come by. That said, there are a few options on the market, and most are pretty great coaches. The interior of the Forest River FR3 25DS. One of our favorite smaller Class A RVs is the Forest River FR3 25 DS. This cute little RV is a mere 25 feet long, but still manages to pack in everything one needs to live and more. In fact, Forest River even took full advantage of the bedroom slide by including a king-sized bed for great sleeping comfort. 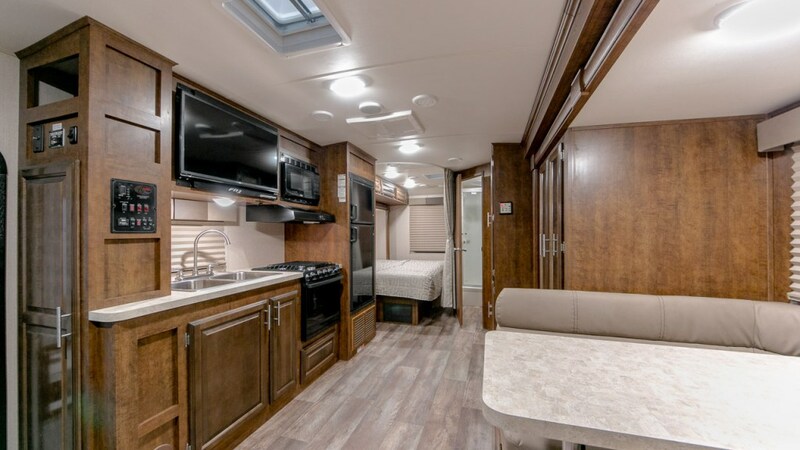 Offering all of the comforts of the luxury coaches with a much smaller price tag, the Holiday Rambler Navigator is the perfect option for those looking for comfort and value. Interior of the 2017 Holiday Rambler Navigator. These motorhomes offer upscale touches–such as lighted cabinetry and gorgeous woodwork–and all the comforts of home, so you can truly travel in style. If you are hoping to travel with the kids, the Fleetwood Discovery–and specifically the 39G option–is the RV for you. This amazing motorhome offers sleeping arrangements for up to 7 people, a far cry from the usual 2-4. Additionally, a built-in washer/dryer combo and dishwasher all make taking care of the family a cinch. And if you’d like to try out one of these Class A’s before investing…we know the perfect place for you where you can find them and try them out.